The Short Stay Unit (SSU) was set up in January 2017 as part of our Acute Medical Unit (AMU) by Lead Nurse Jo Franks, and occupied 10 beds. The purpose of the new unit is to minimise the time patients have to stay in hospital, aiming to discharge people within 48 hours. It was decided this year to move SSU to a dedicated ward with an increase in the bed capacity to assist patient flow from AMU. 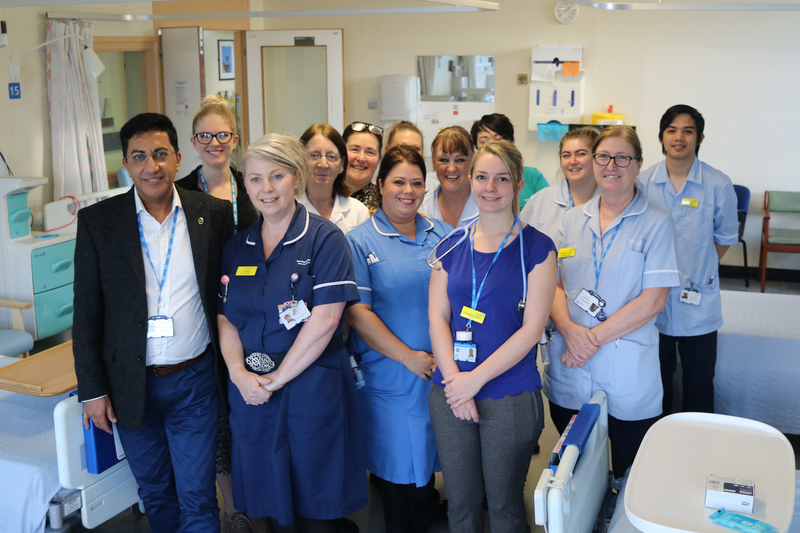 We now have 16 dedicated SSU beds on Ward 29 for patients who have been transferred from AMU. Patients will have undergone a consultant review before their transfer. On SSU they will receive specialist input from the Urgent Care Therapy Team, Pharmacists, Breathe Team, Frailty, and Case Management teams if necessary with the main aim to discharge within the time frame of 48 hours. change in clinical condition requiring other specialty intervention. We couldn’t have made this improvement without the dedication and support of the teams involved. The medical consultants on AMU provide the consultant input, however for the first four weeks Consultant Dr Mahmood managed the unit. 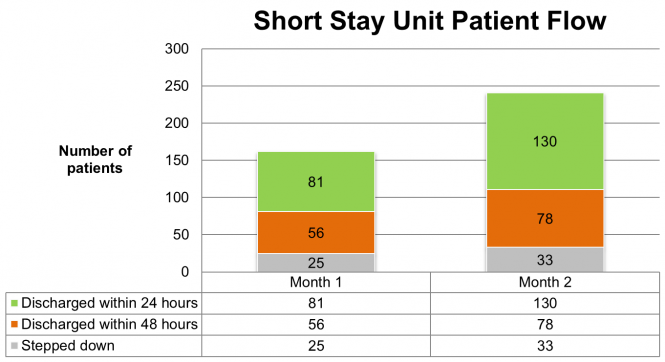 His clinical expertise was crucial to maintain the 48 hour discharge, and from the data below it can be seen that the results speak for themselves. The motivation and hard work exhibited by the nursing team and medical team has been phenomenal in contributing to the success of this unit.